Ever since the fall humans have desired to know the secrets of the heavens. By that statement I am referring not to the secrets of the stars or planets that fill the heavens; I am referring to the supernatural knowledge of the Host of Heaven, the beings who dwell in the heavenly regions. It is as if we humans somehow believe we were shortchanged in the fall, and as a consequence we deserve to have special knowledge about God and the universe. Now, I believe that God has ordained that we search out creation for understanding; that’s the original purpose of science–to understand humanity and the natural universe. And there is nothing wrong with that, in fact, when science is used correctly mankind benefits (as in the healing arts), and our understanding and appreciation for God is realized. What I am referring to are those who desire to go beyond the boundaries set up for man. An example of this are those who attempt to gain knowledge through supernatural means, in other words, seeking for knowledge from ‘otherworldly sources’ such as angels, the dead (necromancy), and aliens. The Apostle Paul understood this desire for unlawful knowledge and condemned seeking knowledge from angels and other occult sources. Let no man beguile you of your reward in a voluntary humility and worshipping of angels, intruding into those things which he hath not seen, vainly puffed up by his fleshly mind… (Colossians 2:18). The worship of angelic beings is here condemned by the Apostle. The Jewish sages wrote reams of pages about angels and the supposed role of angels as mediators for man or between man and God. Paul knew this because of his position among the Jews and his education in the Law and the commentaries of the Rabbi’s. In reality this activity will inevitably lead to the worship of angels, and may even lead to the practice of invoking angels–for their knowledge and power. The problem is, how do you know whether it’s an unfallen angel or a fallen one? Truth is, you don’t, because of the power of deception and spiritual manipulation by fallen angelic sources; and that’s why the Apostle condemns angel worship, or contacting angels–spiritism is just a dangerous practice and it always leads to disaster of one kind or another. Dee, although a genius in his own right, and one of the most educated and learned men of his day, sought after knowledge in the wrong way. He tried to gain insight into the secrets of the creation apart from God, and instead sought out knowledge from angelic beings. In reality though, the angelic beings Dee communed with were fallen angels. 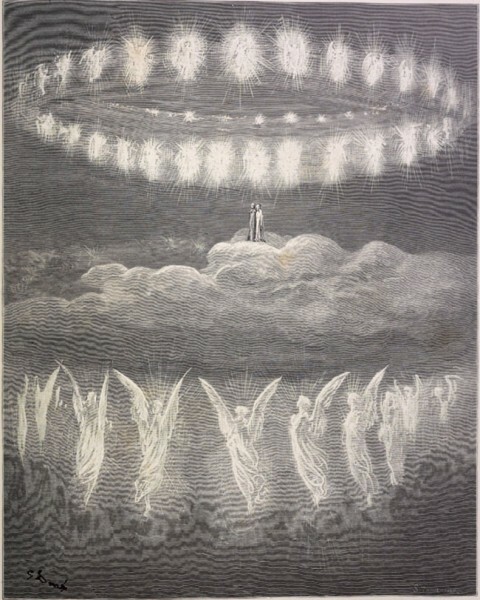 In fact, the knowledge Dee and his colleague Edward Kelly gained from the angels is still used even today by occultists. Clearly the beings Dee and Kelly communed with were not from God. Dee and Kelly developed a special language they called Enochian, which they claimed was revealed to them by angels. It is very telling that the methods they used to contact angels were occult to the core, and out of all of this they developed a complex system of ceremonial magic called Enochian Magic which later influenced The Hermetic Order of the Golden Dawn and legendary occultist Aleister Crowley. The methods used by these occultists are still influencing practitioners of ritual and ceremonial magic today. As a result of his traffic with spirits Dee and Edward Kelly ended up swapping wives for a short time–and this immoral activity was done because the angels commanded them to do it. Later in his life Dee became a disillusioned and broken man. He died at the age of 82 attended only by his daughter Katherine. I hope you can see from this example that Dee and Kelly were not in communication with godly spirits, but fallen beings, who led both men and their wives to live in adultery. Clearly that is not biblical nor was it godly. Only wicked spirits would lead to this kind of activity. 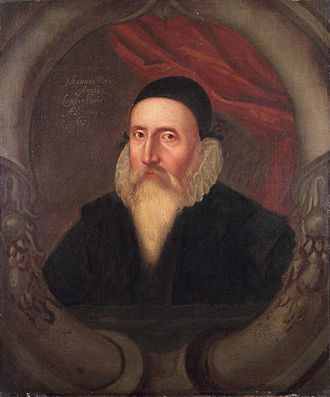 While the life of John Dee is very fascinating, it should serve as a reminder that traffic with fallen angels is costly, both in this life and the life to come. The Bible reveals that the ancient Israelites also sought after and worshipped fallen angels. God warned the Jewish nation not to worship the Host of Heaven, or the angelic beings, whether fallen or unfallen. And lest thou lift up thine eyes unto heaven, and when thou seest the sun, and the moon, and the stars, even all the host of heaven, shouldest be driven to worship them, and serve them, which the LORD thy God hath divided unto all nations under the whole heaven (Deuteronomy 4:19). And hath gone and served other gods, and worshipped them, either the sun, or moon, or any of the host of heaven, which I have not commanded (Deuteronomy 17:3). And they left all the commandments of the LORD their God, and made them molten images, even two calves, and made a grove, and worshipped all the host of heaven, and served Baal (2 Kings 17:16). To be clear, the Bible defines the identity of the Host of Heaven–and I will continue along that line on my next post. To be continued…. If you are interested in learning more about the Host of Heaven and how they relate to modern UFOs and aliens then I encourage you to get a copy of my book, Alien Antichrist, The Terrifying Truth about UFOs and Aliens, Antichrist, and the End of Days. You can get the book by following the link to Amazon, or you can get the book at Barnes and Nobles and other bookstores that offer print on demand titles. In the book I demonstrate that fallen angels will lead mankind to worship the Beast and take the mark of the Beast–through the strong delusion of UFOs and aliens. Most people today already believe in aliens, so in a sense they are already setup for the deception. Get the book, check out the 367 endnotes and study the Scriptures that prove the people of Earth are being set up to worship an Alien God in the End of Days! “This book is an in depth look at the ancient alien question and the Bible and how the two relate. The book is extemely well documented to back up all of the reseach in this book. With all the shows on TV, regarding UFO’s, this book gives a comparision to what was written centuries ago in Bible. If you have any interest in either of the two subjects this book is a must read. Both reviews are 5 stars, and I would like to thank these reviewers for their opinion on the book! And I would also like to thank everyone who purchased a copy! Once again, Thanks for visiting. And if you do purchase the book just know that you are helping to support this Blog and my work to reveal the great deception that is soon to overtake our planet with the force of a destructive tsunami. I am just one watchman out of thousands God has placed all around the world who are crying out in the wilderness trying to warn that the judgment of God is soon to come through the Great Tribulation. 2. Alien Antichrist, The Terrifying Truth about UFOs and Aliens, Antichrist, and the End of Days; page 107. Thanks, I’m glad you like the article and reblogged it!